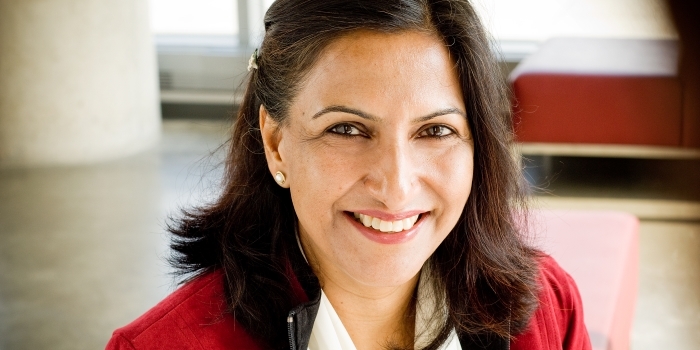 PramoDITA Sharma is a Professor & Daniel Clark Sanders Chair in Entrepreneurship & Family Business at the Grossman School of Business, University of Vermont. She is a Visiting Professor at the Kellogg School of Management’s Center for Family Enterprises, Northwestern University. Dita holds honorary doctorates from the Jönköping University in Sweden, and the University of Witten/Herdecke in Germany. Sharma is active in leadership and advisory roles in a number of professional associations. From 2008-2017 she served as the Editor of Family Business Review – a highly ranked journal of Business. With Mark Green, she co-founded Family Enterprise Research Conference in 2005. This annual conference attracts leading family business scholars from around the world. In 2012, she established the UVMs Family Business Awards. And, in 2013 launched the Global Family Enterprise Case Competition. In five years, this competition has attracted over eight hundred and fifty attendees and student teams from forty-two leading universities in family business education. Pramodita received the prestigious Barbara Hollander award at the 25th anniversary conference of the Family Firm Institute and received the Life Time Influence and Impact award at the 2015 Family Enterprise Research Conference. Sharma maintains close links with the business community. Supported by various private and government agencies, her research is well received both in academic and practitioner outlets. She is a frequent speaker at gatherings of family business leaders around the world. This interaction enables her to share insights from evidence based research with practitioners while ensuring that her research remains focused on issues of significant importance to the family business community. Experiences and close interactions with her own family's enterprises help keep her professional work rooted into the realties and complex dynamics of these fascinating enterprises that dominate the economic and societal landscape around the world.